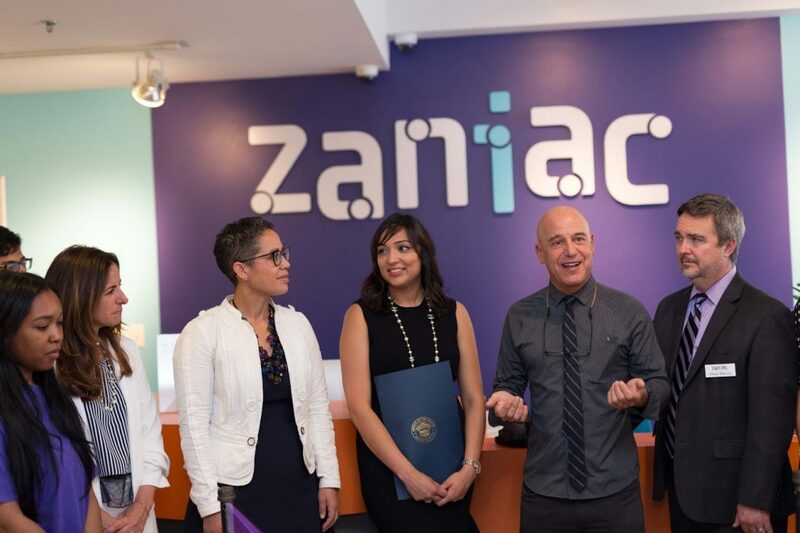 Friday, June 2nd, marked the opening of Sonali Pai’s STEAM campus Zaniac Learning in Jersey City. We’re not talking about vapors or the conversion of water. We’re talking about a campus that that engages children in the areas of Science, Technology, Engineering ARTS and Math (STEAM). Pai is a parent of two young children and a resident of a town that is enjoying a huge population boom. Jersey City saw the biggest spurt in population growth of all Garden State cities last year, according to NJ.com. Asian immigrants account for 45 percent of net international immigration to the state and it’s implicit that culturally, education is tantamount for this demographic. Pai first learned about Zaniac while reading an issue of Entrepreneur Magazine. Her son wasn’t doing well in reading and she was researching a tutor for him. She was taken by the customized one-on-one instructionals offered to kids. So much so, that she got on a plane to get an audience with Zaniac founder Paul Zane Pilzer, based in Salt Lake City. Zaniac founder Paul Zane Pilzer did the reverse for Sonali last Friday and flew in for the opening. 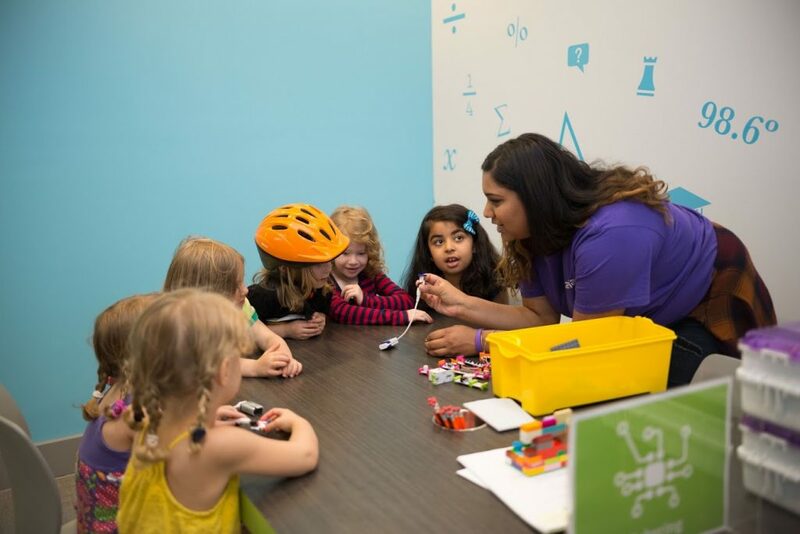 At Zaniac, kids grades K-8 rediscover math and technology through experiential programming that included LEGOs, Robotics, 3D Printing and game-based learning. Eleventh and 12thgraders and college kids, who already are on the cutting edge of what’s new and fresh, will be doing the teaching. Pai hails from an entrepreneurial family. Her father immigrated to the U.S. from India with $2,000 in his pocket and started a pharmaceutical company that he eventually sold to Ranbaxy. Her husband’s family is firmly entrenched in the educational space in India. Zaniac is not only a natural extension of her family’s interest but allows her to plug into a support system and playbook that already exists for the company’s 10 other locations around the country. Female business owners account for roughly 25 percent of total franchise unit ownership today, according to data from Price Waterhouse Coopers and the International Franchise Association. Having a strong connection with the franchisor has been a key draw for women who wish to walk down the entrepreneurial path, but don’t necessarily wish to reinvent the wheel. With a playbook and corporate team, women find the support they need, the friendship, the mentorship, and the coach. Bilbray remarked on Pai’s passion about making a difference in children’s lives. 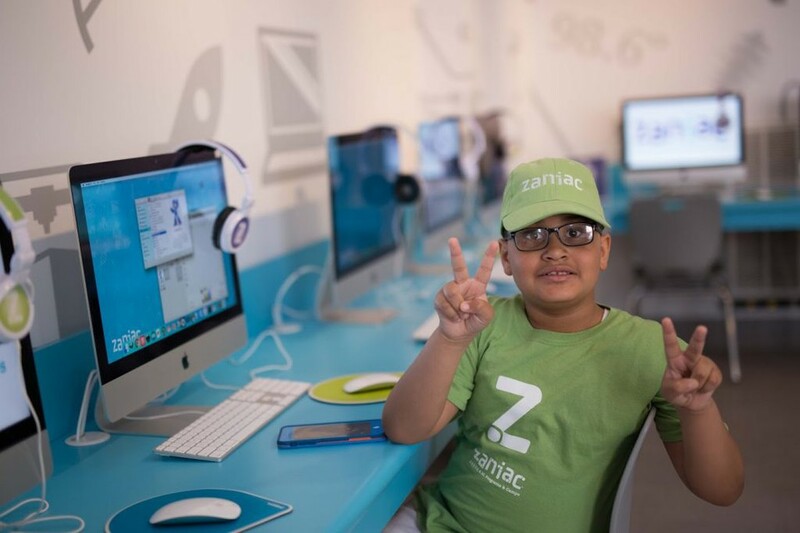 With the Jersey City location, Zaniac hopes to engage kids at birthday parties and with after-school programming. The ratio is five students to one instructor and the space can accommodate up to 40 students. Deputy Mayor of Jersey City Vivian Brady-Phillips called Zaniac a welcome addition to the region. Prior to the Grand Opening, the Zaniac Jersey City Campus has surpassed pre-opening sign-ups of any location of the other 10 in the country. A 90-minute class could range from $299 to $369. Weekly summer camps range from $349 to $559 with both half and full-day options.